You know the lovely folks at speedtest.net - they tell you how fast or slow your internet connection is? 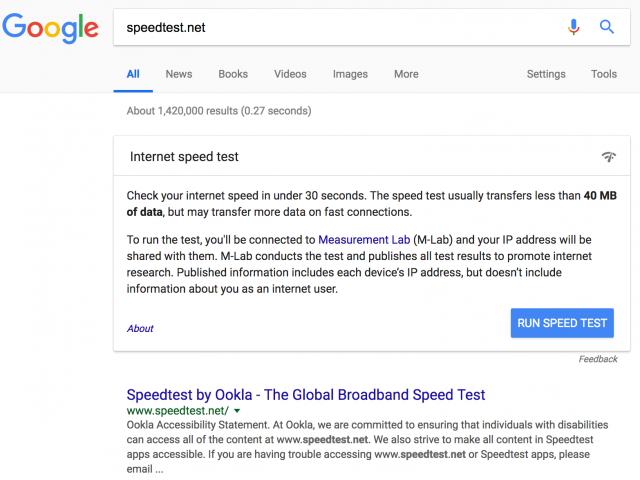 You also know that Google has a subpar version when you Google [speed test] right in the search results. They launched that feature about two years ago. 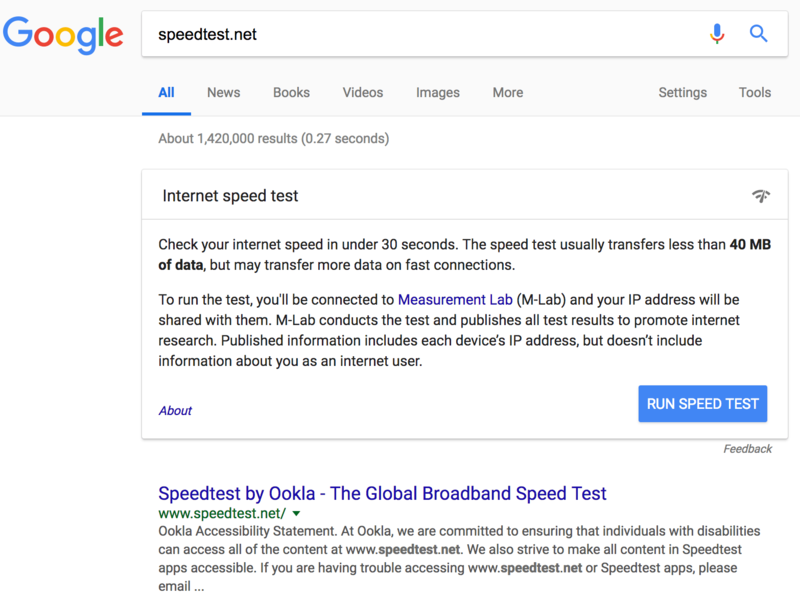 Well, now, if you search for the brand [speedtest.net], the domain name, in Google, Google will show you their speed test widget above the domain speedtest.net. I'll pass this along. I think what's happening is we're probably not seeing the . in https://t.co/muFPiqJ0RF and seeing that as a request for "speedtest" where we have a speed test option. Not sure, but as said, will share it internally. Replied in the other tweet. Widget is indeed old. Passed it along to review why it is triggering for a domain (which I'm pretty sure because we're not seeing that as a domain but interpreting as two words -- but in any case, we'll look at it). I think you answer your own concerns. If our intent was to purposely do this, you'd see it happen for all those things, right? But it's not -- so the reasonable explanation if that it's not purposeful and we have some glitch. Which both John and I have asked to have looked at. He is basically thinking it might be a bug and Google will fix it. I am not sure if or when it will be "fixed" but this can be hugely upsetting to some folks if Google did this for their domain name.